Your administrative team—principal and superintendent—allocate time and resources for instruction. Their support is critical to developing a climate in which your arts program can flourish. Reprinted with permission from the Music Achievement Council. The notion that you are born a leader or a follower is an old-school belief that conflicts with 21st century learning and the importance of developing leadership skills for life! 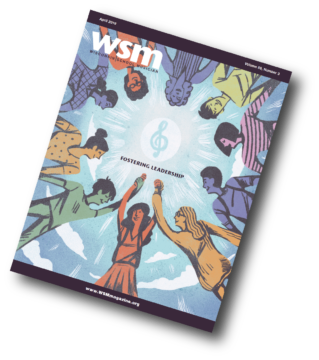 This issue of WSM presents ways to foster leadership through music education for teachers and students alike. Thank you to JW Pepper & Son for sponsoring our High School and Middle Level State Honors Music Projects! Their generous sponsorship makes these programs more affordable for our student participants. Learn more about their company now! 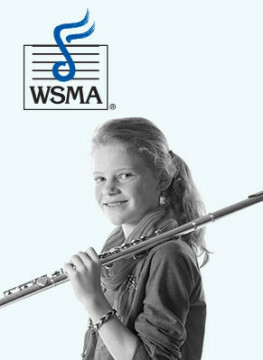 WSMA is a registered 501(c)(3) non-profit organization.